It’s unfortunate that two successive blog posts are remembrances of the dead. First Robin Williams and now legendary NBC announcer Don Pardo. But the emotions for me surrounding the news regarding these two talented people could not be more different. 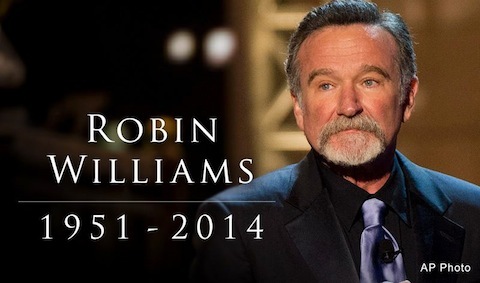 Of course when I woke up to the news this morning about Don’s death, I was startled but not shocked. For some reason (maybe I’m a long distance, harmless stalker who is just not that good at this stalking gig) I knew of Don’s age and that he had long been pre-recording his SNL intros. He was 96 years old when he died. It’s a loss to be sure but that’s a great life run. And he was STILL WORKING! I remember thinking at the beginning of each recent SNL season “how long can Don keeping doing this?” I got my answer: to the very end. And kudos to Lorne Michaels for ensuring that as long as Don wanted the job, he had the job. Yes, I’ve already been asked who I think they’d get to replace Don as the SNL announcer. I don’t know but I’m pretty sure the new person will be shaking in their boots for about a season and a half before feeling comfortable taking over for a voice-over legend. “Legend”, you say? Oh yes, let me expound. So let’s go back to early this morning. I learned the news of Don Pardo’s death by listening to an AM news radio station in Buffalo, NY. Not via their network feed, the local announcers read the news of Pardo’s passing. Digest that for a second. The local news radio station read a story about the death of an off-camera network announcer. To be clear, I would not consider today to be a slow news day. That told me one or two amazing things before I even got out of bed – this was going to be Don Pardo’s national day of respect and possibly a day of respect for the announcing / voice-over industry itself. I was filled with joy, a much different emotion than I felt last week at this time. As the day has progressed, I have seen my assumption become fact. I am so happy for Don right now and for everyone in our business. 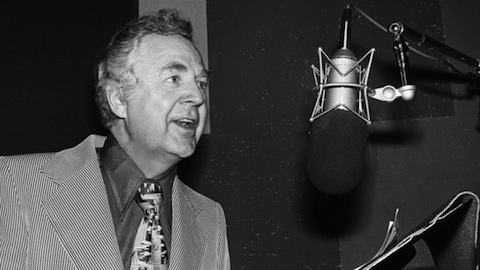 Everybody knows who Don Pardo is – and they should!!!! He’s been a multi-generational announcer and been an active broadcaster throughout some of the most amazing transitions in broadcasting. Forget SNL for a second, Pardo was the booth announcer at WNBC in New York who broke the news about Kennedy having been shot in Dallas. Wow. If you’ve never seen the series featuring an interview with Don at emmytvlegends.org (here’s that stalker thing again) there are some great stories from Don about his work in broadcasting. I’m hoping the YouTube views on that puppy skyrocket in the weeks and months ahead. So today, I will pray for Don’s family and that they experience God’s healing power as they mourn Don’s loss. But I will also smile and enjoy for him (and us) the national tributes Don Pardo is justifiably receiving for his life’s work. There are two great voice-over Dons in heaven now and I suppose both will have to either audition for the “voice of God” role or just split the week between them. The day after posting this I received notice of the tribute done last night to Don Pardo by NBC Nightly News Anchor and Managing Editor Brian Williams, who went so far to switch studios during the newscast and deliver the final segment of his broadcast from Studio 8H. Just one word to the Anchor and his co-workers: Classy. See for yourself. I need to write this now. Right now. You don’t need to read this but I need to say this, not because it needs to be said but because I need to say it. I need to get the words out at this moment because the conjecture has already started, speculation is rampant and the truth (which may or may not ever come out and is sincerely none of our business) may uncover things that are too sad, too hurtful or even hideous to conceive. Suicide is like that. Depression is real and can be all consuming. Answers are rarely complete. And we are each only human. At the moment, my remaining ignorance (save for the one truth that is still a bit unreal) is bliss. In this moment – which is very much not about me – will be now arrogantly be made about me by me. You’ve been warned. It was 1978 and the ridiculously silly TV Show “Mork and Mindy” was a first season hit, a new series that was born of an episode of “Happy Days” featuring a performer no one had heard of before but would never forget. I was in eighth grade and my hidden, inner performer was intrigued. Hmmmm. But it was his comedy album that captivated me…”Reality, What a Concept” along with the HBO special of the same time. Just this weekend I watched a clip of it on YouTube. He gave me another moment of joy while in his life at that moment he might have been hurting. The birth of a comedy legend. What creativity, what energy. What was this thing called improvisation? How does one think so quickly with such humor? Where do those voices come from? And who else? Jonathan Winters? Red Skelton? Unknowingly, he was their student. I was his. I memorized the album, I recited it for friends, I created new ideas from it and I let free form ideas flow out of my mouth (sometimes with success and sometimes not so much). But the tightrope walk was exhilarating…people laughed…better yet girls laughed. I was on to something. As he went on he took chances in his career. He dared. He moved forward. I was not so brave. I found shelter from such public daring, more often than not, behind a microphone or behind a desk. A toe in the water, maybe a foot, but never full immersion. Timid, scared, unsure? Probably. Shy and introverted? Without question, yes. But I watched him, learned and took to the stage when I felt sure enough that I could cause some enjoyment but little damage. My words and ideas became less like him and more like me. That was good at least. And I couldn’t tell you from where in my brain the ideas came from – then or now. But that well would have remained untapped, I think, without him. I was not an actor, I was barely a performer but I did my best when my time came. WWRD? All this while, unto this moment, I laughed, I took mental notes, I listened, I observed his performance. I marveled still at this simple, human performance machine. Now, he has created a void within me he didn’t know he had been responsible for filling all this time. So empty, yet paling in comparison to the void felt by his true family and friends. And maybe it was an unbearable painful void within himself that brought him down. Conjecture…shame on me. Well, we people of good conscientious know the answer to that really isn’t our business. Can we ever again show some respect in a day when gossip passes for news? Some matters shouldn’t be a Movie of The Week or some kind of hit film. Probably because we lack his creativity, it will be anyway, because of our society’s over-developed fascination with celebrity. It shouldn’t be that way. Much in the same way one person shouldn’t make the tragic and unfathomable death of a kind of a long-distance teacher about him. But he did anyway. And he meant it with all the respect and admiration he had banked in his heart for someone he never met and didn’t know. A poor man’s tribute. With thanks and many prayers, good-bye and God bless.